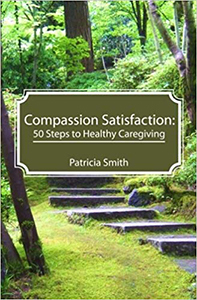 Studies confirm that caregivers play host to a high level of compassion fatigue. Day in, day out, workers struggle to function in care giving environments that constantly present heart wrenching, emotional challenges. Affecting positive change in society, a mission so vital to those passionate about caring for others, is perceived as elusive, if not impossible. This painful reality, coupled with first-hand knowledge of society's flagrant disregard for the safety and well being of the feeble and frail, takes its toll on everyone from full time employees to part time volunteers. Eventually, negative attitudes prevail. Accepting the presence of compassion fatigue in your life only serves to validate the fact that you are a deeply caring individual. Somewhere along your healing path, the truth will present itself: You don't have to make a choice. It is possible to practice healthy, ongoing self-care while successfully continuing to care for others.